Product code: 203. Category: Accessories. 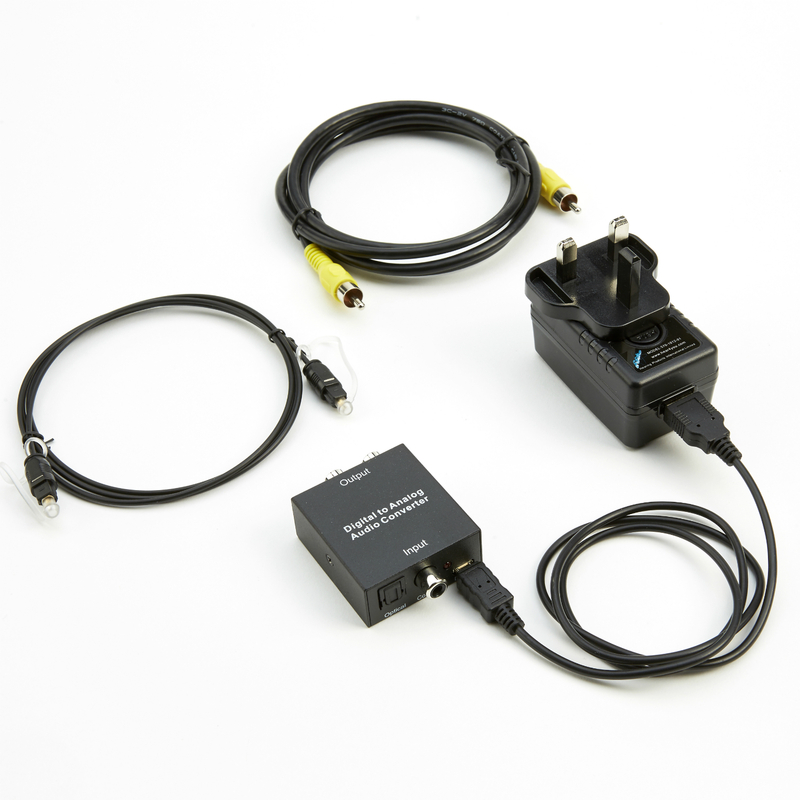 The Echo ® Digital to Analogue Audio Converter™ allows you to connect equipment to a modern TV using the TVs digital optical or coaxial output. The converter simply takes the digital sound and converts it to analogue sound and is easily connected to your equipment. 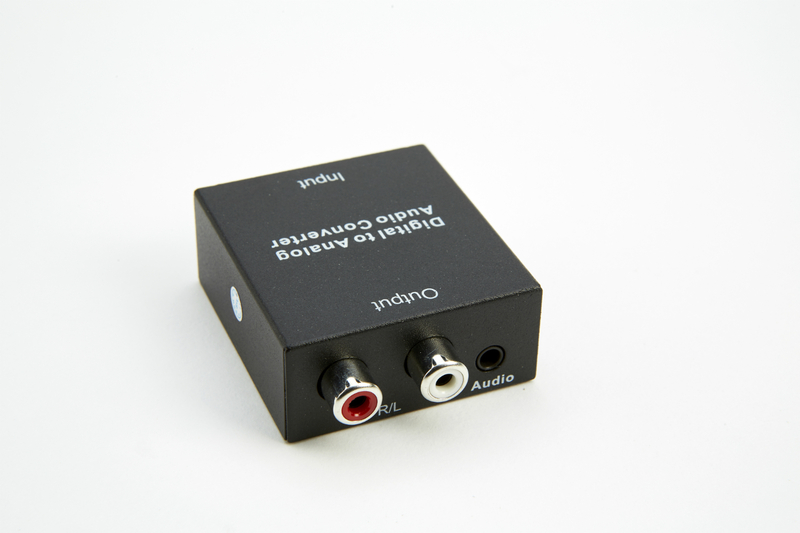 The converter comes with the Toslink Cable and Coaxial Cable as standard to connect to the TV. 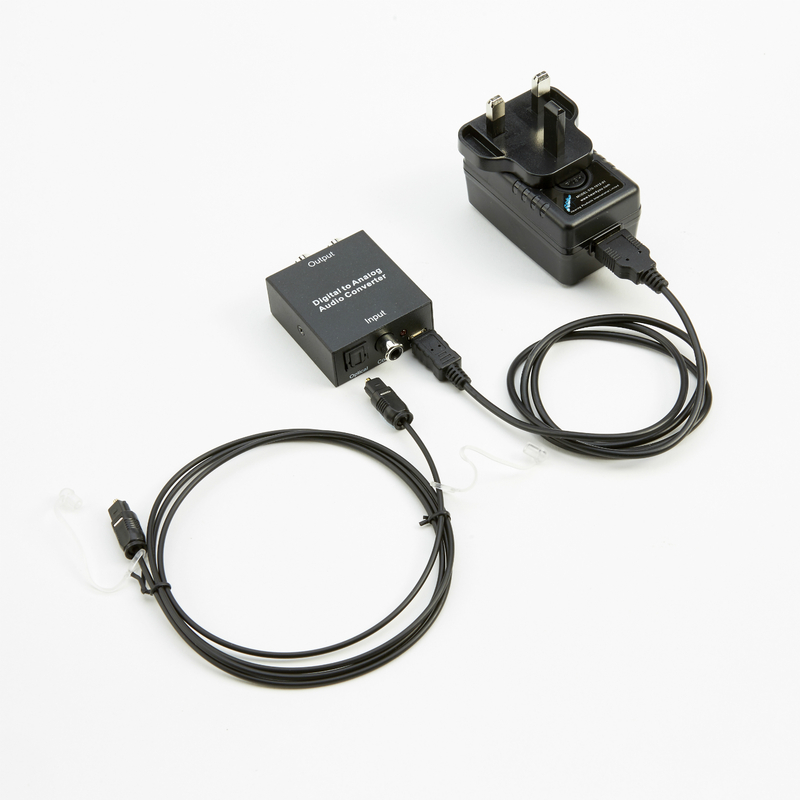 The converter is mains powered and is small in size and easy to install. 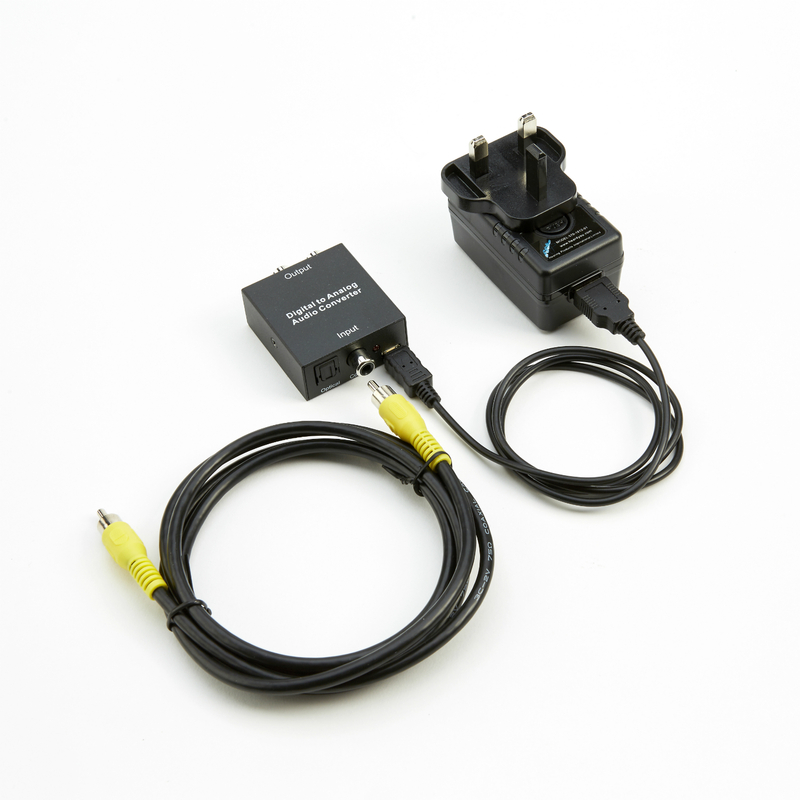 When the power supply is connected, connect the TV to the converter using the Toslink Cable or coaxial Cable (both provided), and then connect the amplifier to the converter using appropriate audio leads.